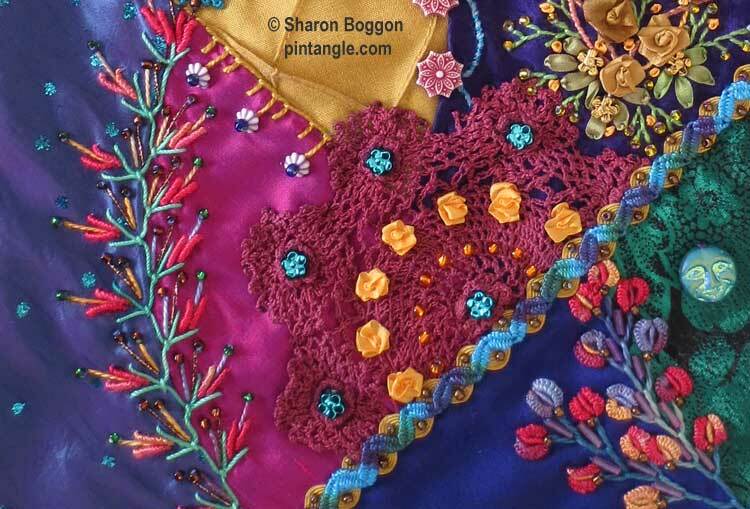 Your embellishing and design are beautiful, and the vivid colors bring your crazy quilt to life! You are so creative and use a great many beautifully varied combined stitches. I am guessing that artistic mind of yours is always at work creating new design combinations! Mizz I just cut and include the raw edge inside the seams as I add this sort of thing as I piece each block. Since it is inside the seam it does not unravel. I never use glue on any textile.